Looking For The Best MIDI Controller for Beginners? Here’s a look at our favorites, including our top pick the – Akai Professional MPK Mini MKII. 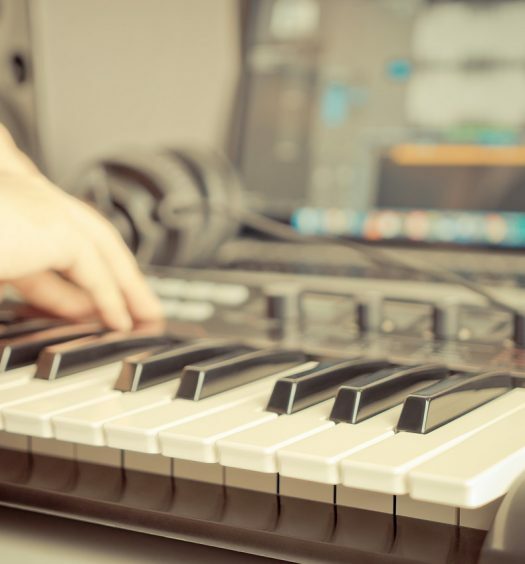 As virtual instruments have gained more popularity on stage and in the studio, MIDI keyboard controllers have become increasingly essential for the contemporary musician and producer. What started off in the 1980s as a bulky device for performers to control multiple synthesizers from a single keyboard has evolved into a highly portable piece of equipment that can give you control over the entire range of contemporary music software and hardware. MIDI controllers come in many shapes and sizes, and they can range from $99 to several thousand dollars. Fortunately, beginners don’t need all the bells and whistles that come with premium MIDI controllers—there are a number of high quality and highly-versatile controllers that you can purchase for under $200. These controllers will let you learn the basics and hone your craft with an affordable initial investment, and they have the ability to grow with you as your talent builds. Key Count – most MIDI controllers come with 25, 49, 61, or 88 keys, though you’ll occasionally see models with 32, 37, 73, or 76 keys. To figure out which option is best for you, ask yourself a few questions. Will you be taking your MIDI controller on the road, or will it stay in your studio? Do you want to play one-handed or two-handed? Do you want the ability to do keyboard splits (range mapping)? Your answers to these questions should guide you towards the size and range that’s best for you. Portability – we addressed this in the previous point, but it’s worth distinguishing on its own. If you’ll be on the road with your equipment, you probably don’t want a giant, bulky, hard-to-transport MIDI controller (unless you have a crew that handles that for you, in which case that’s entirely their problem—not yours!). If portability is a foreseeable issue, make sure the controller you choose is a reasonable size and weight, and hopefully comes with a travel case. 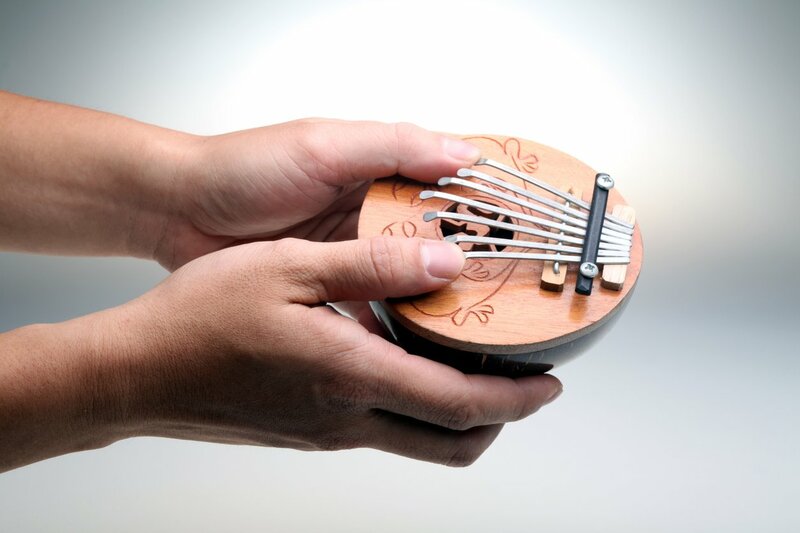 Weighted Hammer Action – this type of keyboard is meant to mimic the weight of acoustic piano keys. 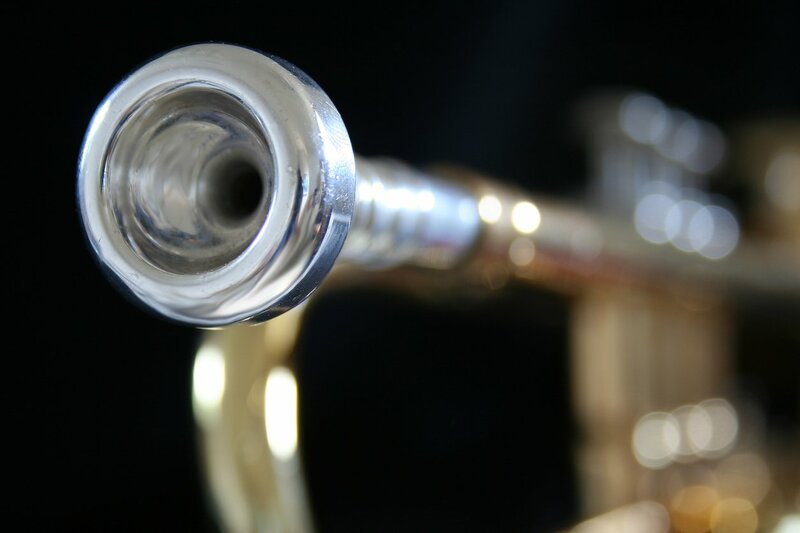 Some manufacturers add a hammer action, while others apply weights to the keys to replicate the feel of a hammer. 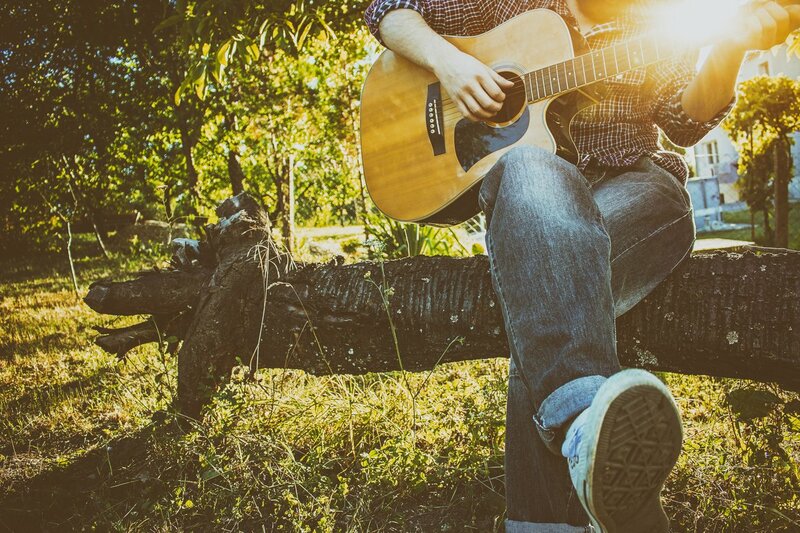 This style is best suited for piano players and composers, as it will be the most natural transition from an acoustic piano. Semi-Weighted Action – this option is a compromise between Synth Action and Weighted Hammer Action. If you don’t need the weighty feel of piano keys but you don’t want the extra spring of Synth Action keys, this is your best choice. Synth Action – this type of keyboard has significantly more spring-back, and is often compared to playing an electric organ. 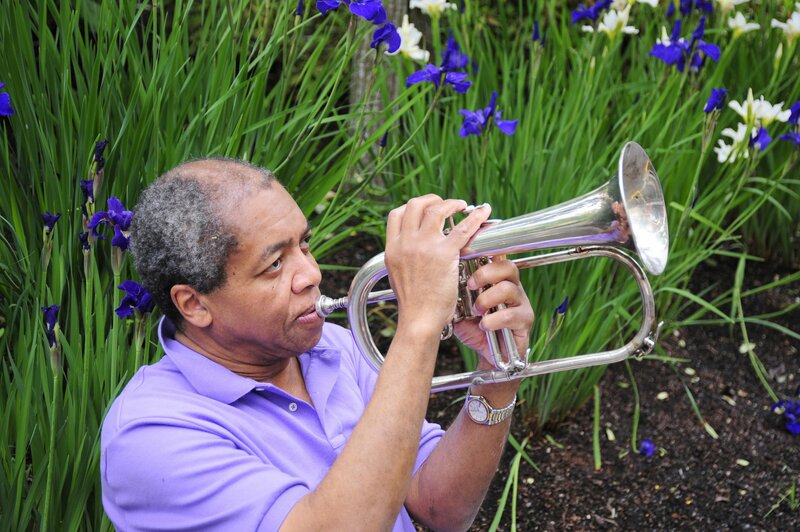 The spring-loaded keys are engineered to move quickly, so they are ideal for musicians playing fast parts like lead lines and fast arpeggios. This is a good option for non-piano players, such as guitarists who want to add MIDI functionality to their setup. Aftertouch – Aftertouch is a premium feature that you’ll find in higher-end MIDI controllers. While it’s not necessary, it can be a fun option to add as it provides for an extra layer of expressive style. I/O Options – most MIDI controllers use a USB connection, but some more advanced controllers may include 5-pin MIDI DIN jacks, or CV and gate outputs. Performance Pads – most keyboards will include eight or more pads that you can use to play drums and trigger loops. More pads lead to more functionality, but they also take up a lot of room on the interface, so be sure you’re not sacrificing essential functions or portability if you opt for a controller with a ton of performance pads. The MPK Mini MKII is engineered for musicians on the go. It’s roughly the size of a laptop, so it will easily fit in your backpack or on a crowded desk, and its USB-powered, so there’s no need for a power adapter. It has 25 synth-style keys, a four-way thumb stick for dynamic pitch and modulation control, 8 performance pads, 8 assignable Q-link control knobs, and a built-in arpeggiator with adjustable resolution, range, and modes. 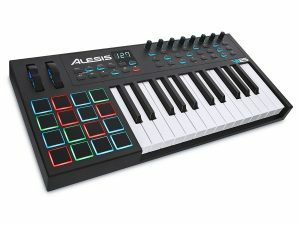 If you’re looking for a professional quality MIDI controller at an affordable price, this is the one for you. The Alesis VI25 has 25 semi-weighted keys with aftertouch and octave up/down buttons, so you can expand the compact keyboard to the full melodic range to play baselines, chords, and melodies. There are 16 velocity-sensitive performance pads with RGB feedback for beat production and clip launching, 8 assignable knobs, and 24 assignable buttons for effects and virtual instruments. It also comes in a 49-key and 61-key setup if you need an expanded keyboard. 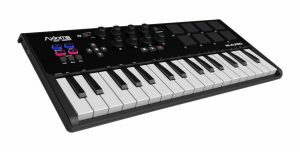 The Launchkey 25 is another fantastic advanced MIDI controller that comes in 25-key, 49-key, and 61-key layouts. This controller was designed specifically for musicians who use Ableton Live software, which is the industry standard for music mixing software. It utilizes synch-style, velocity-sensitive keys that are ideal for fast playstyles, and it includes 16 velocity-sensitive RGB performance pads for color-based feedback when you’re launching clips or playing expressive drum beats. 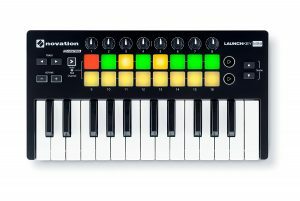 If you love the Launchkey 25 but need a more portable option, Novation makes a Mini Launchkey version that could be exactly what you’re looking for. 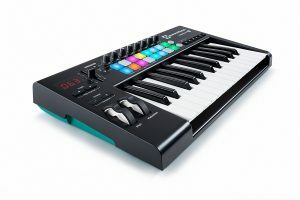 It has the same 25 synth-style keyboard and velocity-sensitive RGB performance pads as its older brother, but with fewer knobs and tuners and an overall more-compact design. The M-Audio Axiom is a perfect choice for younger players who want to learn the MIDI controller without too many overwhelming customization options (or adults, for that matter—it’s certainly not a kids’ instrument). 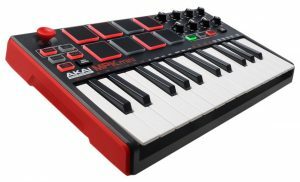 It has a slightly larger keyboard with 32 synth-style keys, 8 velocity-sensitive performance pads, and 8 assignable knobs. In addition to including Ableton Live Lite, it comes with VIP3.0, a groundbreaking, award-winning music software platform that packs powerful hands-on control solutions for virtual instruments and effects. If you’re looking for full size, professional-grade equipment with advanced features, the Alesis VI25 and the Novation Launchkey are probably your best bets. For musicians on the go, or those who want a smaller, simpler setup for easy learning and portability, I’d highly recommend mini MIDI controllers like the Launchkey 25 Mini, M-Audio Axiom Air Mini, and Akai Professional MPK Mini MKII.